Fura Gems, a gemstone mining and marketing company based in Toronto, Canada, has established its administrative headquarters at Almas Tower in the heart of DMCC (Dubai Multi Commodities Centre). Announcing the launch, Fura Gems said Almas Tower was strategically chosen to benefit from access to key industry players and the best in class logistical facilitation, security and connectivity. DMCC, it stated, is strongly positioned in the global gemstone sector from a trade facilitation and security perspective. Also Dubai has been a central geographic location providing an easy access to key consumer markets within the Middle East, India and China and also to all parties and services involved i.e. mines, gemstones and jewellery manufacturers and potential buyers. Fura’s connection to Colombia’s emerald sector is aligned with UAE’s recent initiative to strengthen ties with the South American countries in various trade, economic, tourism and investment, said the company in a statement. Fura, which is listed on Canada's TSX Venture Exchange, is working on its key strategy of acquisition, exploration and mining in the known gemstone belts and then marketing the portfolio gemstones on a global platform. Fura has acquired controlling interest in Ruby mines in Mozambique and an operating Emerald mine in Colombia, said the statement from the company. The company supports UAE’s Vision 2021: to be amongst the best countries in the world by nurturing local talent (gemstone services) on a global scale, it added. Dev Shetty, the president and chief executive of Fura Gems, said: "We are proud to be associated with DMCC and in particular to be headquartered in Almas Tower which with world class infrastructure including security provides “one-stop destination” for all our portfolio gemstones from grading to selling." "Added to this Dubai with its great connectivity provides an easy access to our clients based in Asia, Europe and Americas," he noted. "When starting Fura, it was paramount to create a team of professionals equipped with industry intel and hands on experience to effectively execute the company’s mission. Setting a precedent for best practices in the mining industry keeping transparency, sustainability, and community engagement at the forefront of everything we do," he added. Sheatty said an easy access to the skilled force coupled with a world-class infrastructure provided by Almas Tower, will help Fura to establish a central hub to create a platform from grading to selling of rough gemstones. 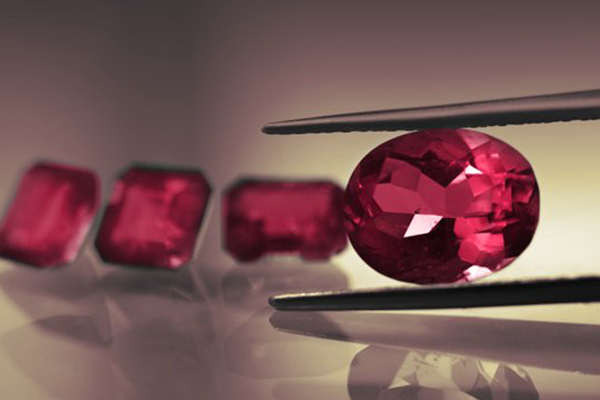 The Canadian firm also plans to open its first treatment facility for rough rubies in Dubai. Led by a team of experienced professionals with a combined 50 years of industry experience and the past credibility of spearheading and creating the operations and marketing for world's largest emerald and ruby mines - Kagem Emerald Mine in Zambia and the Montepuez Ruby Mine in Mozambique – the Fura’s team is made up of some of the best in the industry. Ahmed Bin Sulayem, the executive chairman at DMCC, said: “We welcome Fura’s decision to move their operational headquarters to Dubai especially as it will enable their team to further harness their Latin America and Colombia strategy – and connect into Asia and Europe."